In October 1963, W5034 was briefly allocated to the SR and placed into set 985, which provided a peak-hour diesel-hauled service on the Oxted Line. A contemporary enthusiasts' newsletter reports, "Set 985 revised about beginning of October - BSK S34940 (green) SO W5024, W5034, W5030 (maroon), CK W16221/20/10 & SK W25944 (all maroon), BSK 34951 (green). By 22 Oct., form was S34940, S25917, S25916, W16221/20, W25924/44, S34951. 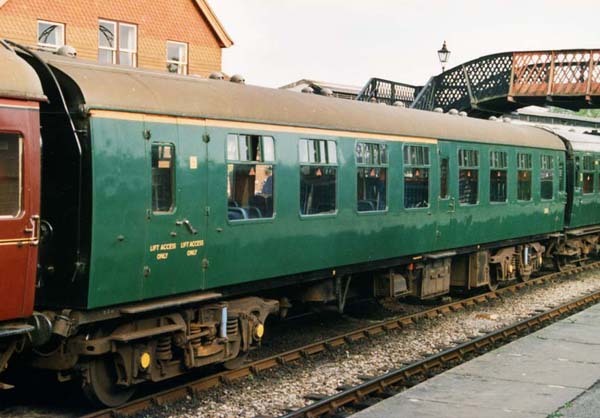 The ex-WR coaches went through Lancing for checking but did not stay long enough to be re-prefixed". Thus, 5034 and our CK 16210 may have spent some nights together on the viaduct at East Grinstead, where a couple of the Oxted Line sets were stabled overnight! During the latter years of its BR service, 5034 was based at Old Oak Common for use on Intercity charter work. 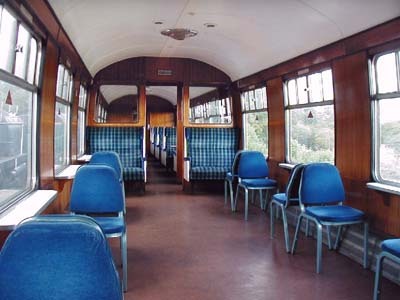 It was one of twelve coaches modified in 1989 to form the "Travelling College" train, which, it was intended, should carry parties of school-children around the country on educational tours. This coach was one of the dormitories, fitted with bunk beds. 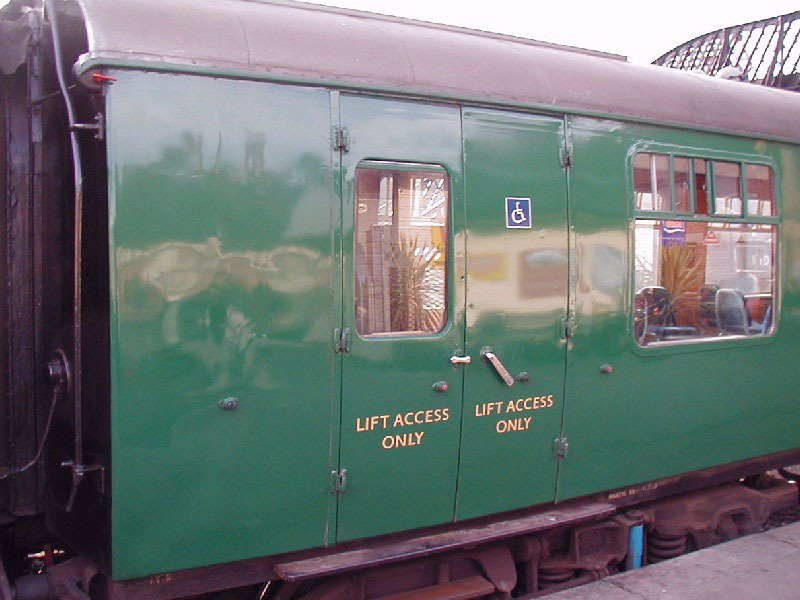 The venture was commercially unsuccessful, and the Bluebell Railway subsequently bought all twelve vehicles. 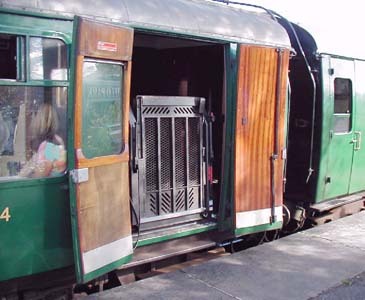 It returned to passenger traffic on the Bluebell in 1998, following the construction of a completely new interior, as a multi-purpose vehicle. New ceilings were needed and these have been fitted with circular incandescent lighting units from an early TSO. Original TSO seating has been fitted in one half of the vehicle, and new double-doors with electric wheelchair lifts give access to an open saloon with loose seating at the other end. 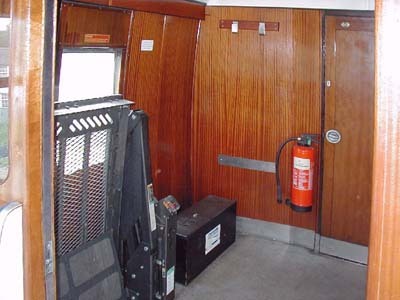 An orange stripe at the top of the bodyside was intended to indicate its special status (as seen in the adjacent photo), but this feature was found unnecessary and was dispensed with at a subsequent repaint. 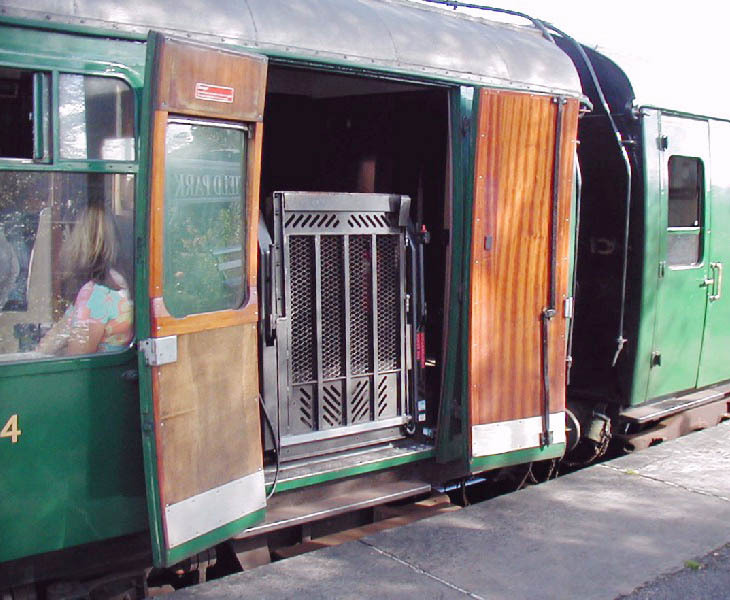 5034 has proved enormously popular, and more than 1 in 10 of visiting groups make use of its facilities. 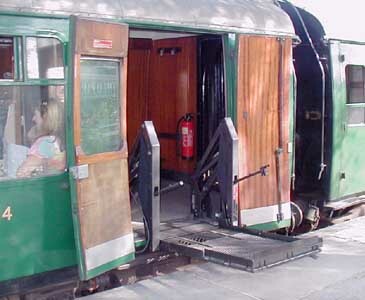 At the start of 2004 the coach was turned round, so that the access doors are at the south end of the vehicle, considered more operationally convenient. 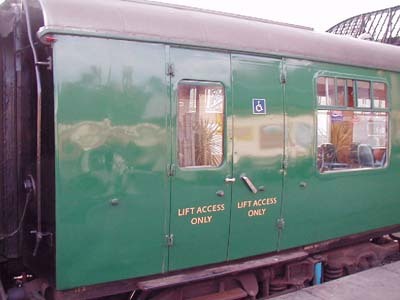 Following the completion of the similar conversion of No.4941 in 2012, No.5034 received an intermediate structural overhaul and was repainted into Carmine and Cream livery as seen in the photo at the top of this page. The photos below, by Chris Dadson, show some of the details of the conversion, and the electric wheelchair lifts. 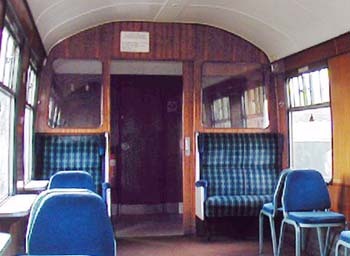 Seating:	51 2nd class (fixed and loose seats) plus approximately 12 wheelchair spaces. Text © Copyright Martin Skrzetuszewski and Richard Salmon. Photos © Copyright Richard Salmon, Chris Dadson and David Chappell. 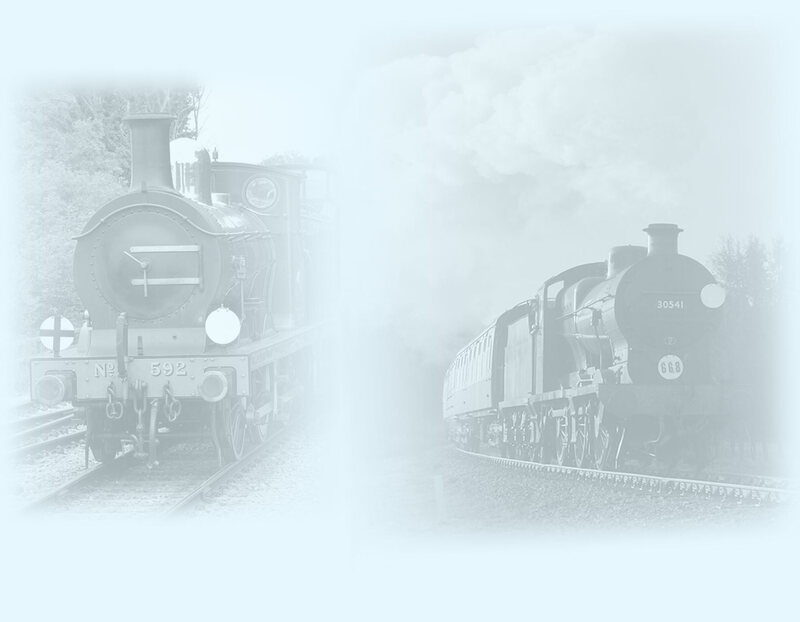 Last updated by Nick Beck, 19 June 2014 and Richard Salmon 8 August 2017.